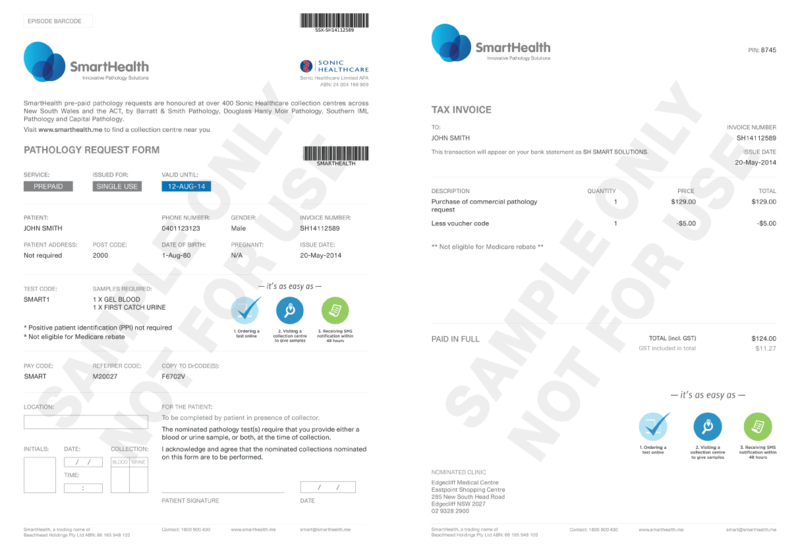 To keep the nature of your purchase confidential, our pathology request and invoices are discreetly coded and only an alias of SmartHealth will appear on your payment statement. Click here to see a sample pathology request and invoice. Many sexually transmitted infections (STIs) may not have noticeable symptoms for weeks, months and sometimes years, making transmission likely and symptomatic detection difficult. If left undiagnosed and untreated, STIs can lead to dangerous long-term health consequences for both men and women, including chronic pain, infertility, sterility and even cancer. The Routine Screen is a comprehensive test which checks for six of the most common STIs that are detectable through blood and urine analysis when asymptomatic. This test is recommended as part of your routine health management. It is also recommended if you are commencing a new sexual relationship, are concerned about a risk event, or have never been screened for STIs. SmartHealth offers individual tests for anyone worried about exposure to a particular infection, or if re­testing to determine if an existing infection has cleared following treatment.